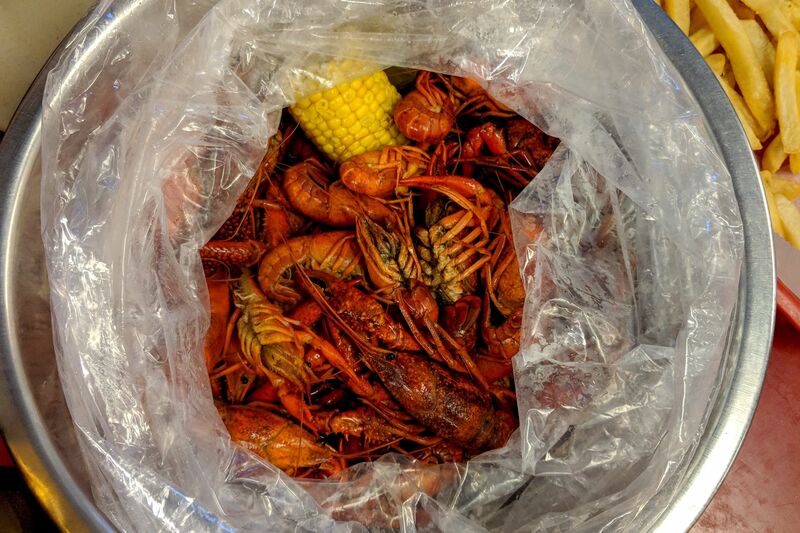 A backyard crawfish boil is easy if you have the right equipment: a plastic kiddie pool (or a big galvanized tub), three or more large Igloo coolers, a beer tray for each guest, and a 30-quart pot with a propane burner. 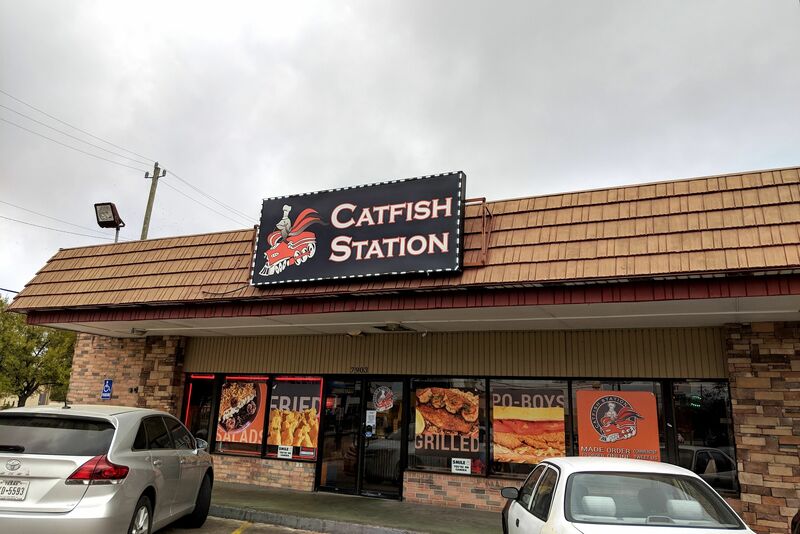 Some outdoor stores sell an aluminum pot with a metal stand and a built-in propane burner as a “turkey frying kit,” while others label it a “seafood boiling pot.” Not to worry, it’s the same thing. Most kits also include two other things you’ll need: a draining basket (for seafood) and a clip-on thermometer (to check the oil temperature for frying turkey). You’ll have to supply your own propane tank. Fill a cooler with beer. Once the water has come to a raging boil, add 2 ½ cups spice mix and the bouquet garni. Boil for at least 5 minutes. Add potatoes and lemons. Cook for 5 minutes and then add corn. Continue cooking for 15 minutes. Transfer the corn and potatoes to a cooler and sprinkle with some of the reserved spice mixture to taste. Cover tightly. Add 10 pounds of the crawfish to the pot and cover. Once pot is steaming, cook for 5 to 10 minutes. Remove the crawfish from the pot, place them in another cooler, sprinkle with spice mix to taste and cover. 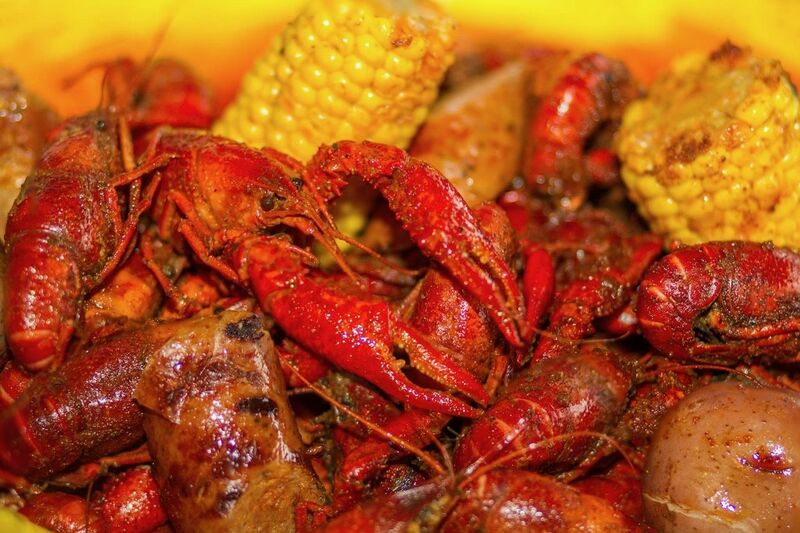 Repeat with the remaining 20 pounds of crawfish, 10 pounds at a time. 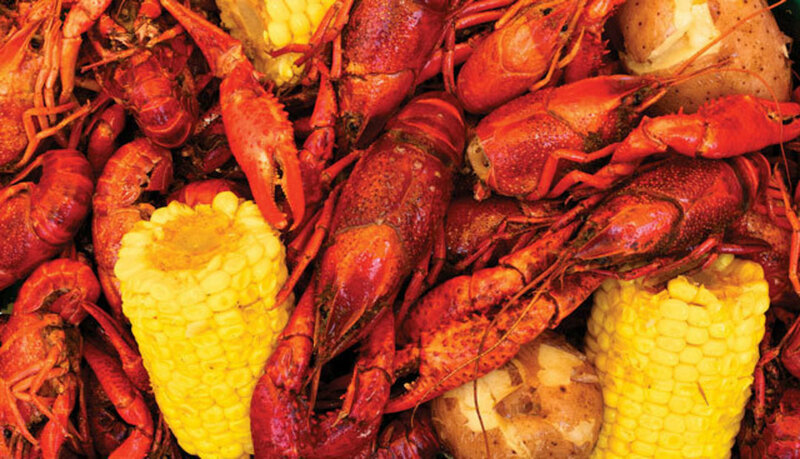 To serve, fill a beer tray with several pounds of crawfish, then top with some potatoes and corn. Direct your guests to the cold beer. Be sure to provide plenty of trash receptacles. If you cover a picnic table with lots of spread-out newspapers, you can easily gather the debris and throw it away as you go. 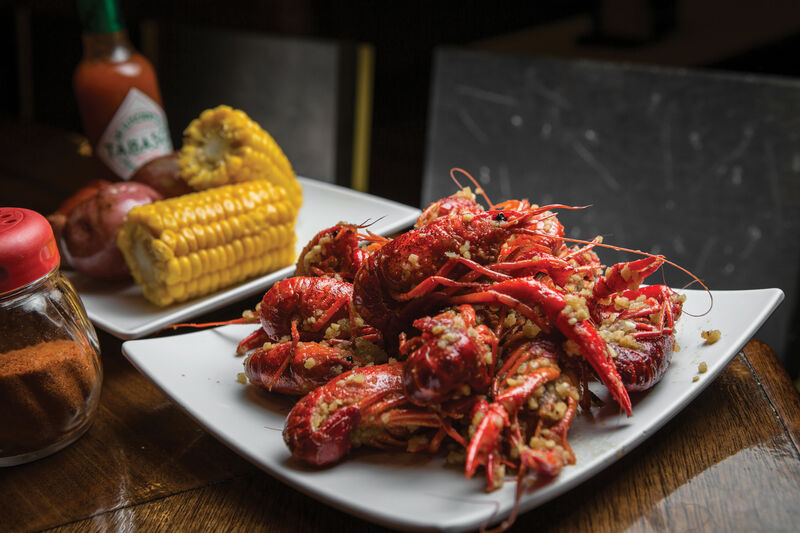 Vietnamese Crawfish: To season your crawfish Vietnamese-style, shake a 2- to 3-pound portion in a plastic bag with a half-cup of melted butter simmered with a minced garlic clove, lots of red pepper and hot sauce to taste. Repeat for each guest.